James Allen focuses his practice in the areas of business torts and business litigation, including an emphasis in injunctive relief proceedings, construction litigation, condemnation matters, commercial lease disputes, enforcement and defense of mechanic’s liens, insurance agent and broker disputes, real estate litigation, creditors' rights and employment litigation. Mr. Allen represents several contractors, subcontractors, developers and manufacturers, and assists them with various contract disputes, including workmanship issues, payment issues, mechanics liens, claims involving public jobs and failure to meet contract specifications. Mr. Allen also represents several lenders with a focus in commercial workouts and commercial foreclosure proceedings, as well as parties in farm property and estate and trust disputes. He has extensive experience in special remedy proceedings, including replevin, specific performance and injunctive relief proceedings. Mr. Allen's practice also involves the collection of commercial and consumer debts and general business transactions. 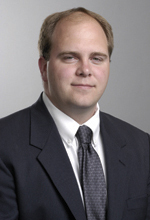 Mr. Allen joined Hinshaw & Culbertson LLP in March 1999. "Wage Assignments, Wage Deductions and Support Orders," at Hinshaw's 2005 Breakfast Seminar Series, in Rockford, Illinois, March 2005.